Castle Brook Academy is an Apple accredited school for infants through school-age children. That means that we adhere to stricter guidelines and higher standards than other schools. We provide a safe and healthy environment with a focus on academic learning. Our teachers understand child development and support and encourage each child's individual learning style while providing age-appropriate learning experiences. At Castle Brook Academy, we don't just provide daycare for your child. We prepare them for a successful future. Our free Voluntary Pre-Kindergarten program is top notch. Our VPK students have consistently achieved 100% school readiness scores. With age-specific classrooms, play places and personal spaces that encourage exploration, investigation, problem solving and discovery, our school is ideal for preschool education. We foster children's self-esteem and help develop their love of learning. 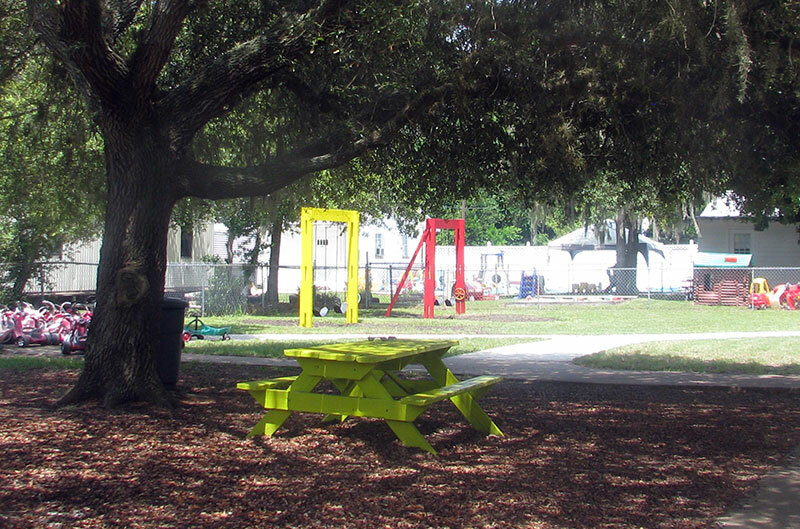 Our spacious, shaded playgrounds are ready for outdoor fun so important for a child's development. Our classrooms and playgrounds are fully equipped with toys, games and books that encourage children to learn and explore. We also provide meals and snacks and before and after school care with transportation to and from school. Beth is originally a Georgia native who relocated to St. Augustine with her family in 2008. She holds a Bachelors degree in Early Childhood Education as well as a Masters Degree in Business Administration. Beth comes to Crowned Hart Preschools with 12 years experience in the field, having worked with many leaders in the industry. Beth has been married for nearly 18 years and has 2 daughters and 1 son. 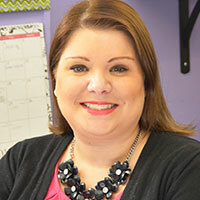 She and her husband are very involved in their children's activities which include baseball and competitive cheerleading. Beth has a great passion for young children and truly enjoys the work that she does here at Castle Brook Academy. Beth loves spending her free time with her family and close friends. I don't know were to begin! It's that awesome. Starting with Mr. Don, he's absolutely a gentleman, outgoing, always has a smile and upbeat. We relocated back to Florida and found Castle Brook Academy. What a blessing. Ms. Leslie, Ms. Ingrid, Ms. Nora and Ms. Michelle are phenomenal. Ms. Beth the director very helpful and attentive. My daughter was in the VPK program. We watched her grow and learn so much. Ms. Nikki the teacher runs the program. She's always encouraging each child to learn and grow. I feel confident my daughter is ready for kindergarten. Ms. Nikki's teaching techniques are on point. My child hugged each teacher at the beginning and end of each day. She was always asking when do I go to VPK. There doing it right! She also attended the summer day camp. They have a ton of activities, water day and field trips. Everyone at Castle Brook is wonderful. They were so helpful with Owen and Micah's transition after our big move. Both kids love it there, and I know they're being well taken care of! 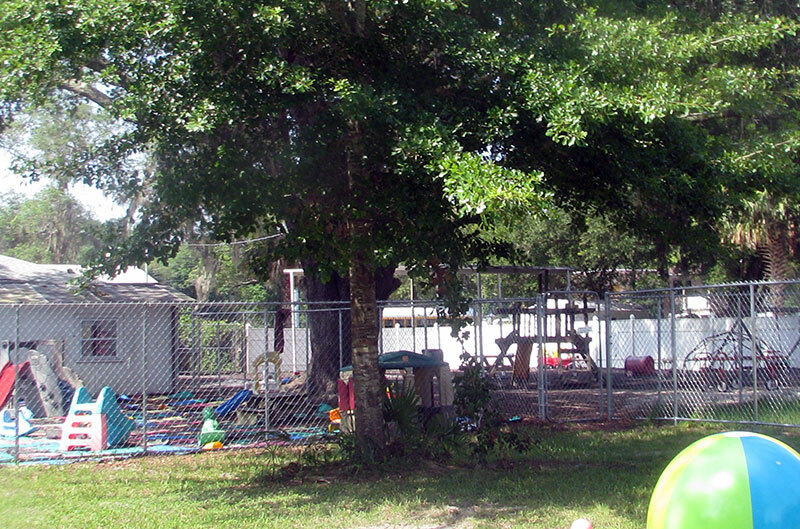 Mr. Don and his staff provide a fun, safe and loving environment for the children. My son has been part of the after school and summer programs for over four years and he loves the time he spends with the Castle Brook family. Thanks! I currently have 4 children who attend this daycare. My oldest is 10, then 5, then 2 and the baby is 9 months old. Each one of my children have been going to this daycare since they were infants. I have had nothing but positive experiences with the staff, all the way from the classroom aides, to the teachers, to the managers and owners... As a single mother, I have a lot on my plate, but it is such a piece of mind knowing that my children are safe while I earn a living for our family. Castle Brook does age-appropriate activities with all the children�They don't just watch these children, they work with them, and create an atmosphere that encourages children to grow and learn and be happy! blessed! 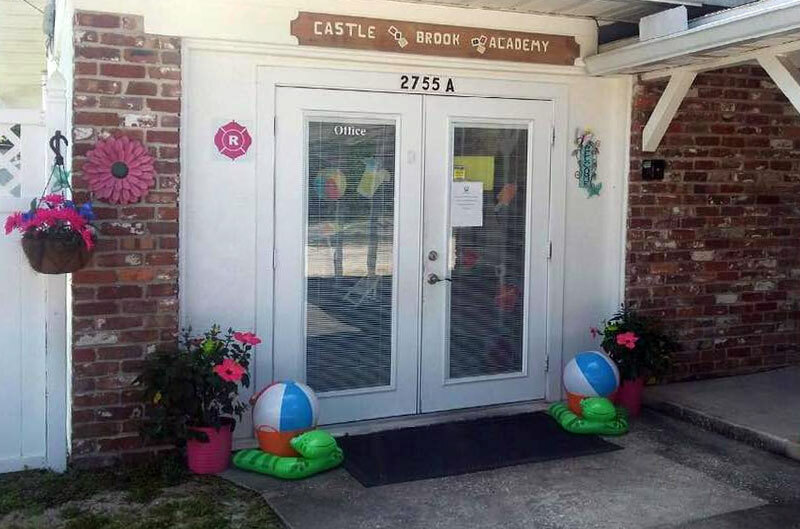 My 2 year old granddaughter has been attending Castle Brook Academy for a couple of months now, and I can't praise this daycare center and it's staff enough. Their caring employees mirror the compassion and love for children that their employer exudes. Thank you, Mr. Don and staff at Castle Brook, for your excellent care of my precious blessing! I cannot begin to express how much I appreciate Mr Don and his staff at Castle Brook!! Mr. Don and the director are both available to answer any questions that I may have about my child. I love the crafts and projects that are done with the children!! Thank you Castle Brook Academy!!! My two children have attend Castle Brook Academy for day care and VPK and have loved being there! The teachers and staff are welcoming, loving and caring and make everyday special! I have been so impressed with how much my girls have learned while at Castle Brook! Interested in finding out more about our daycare and preschool? 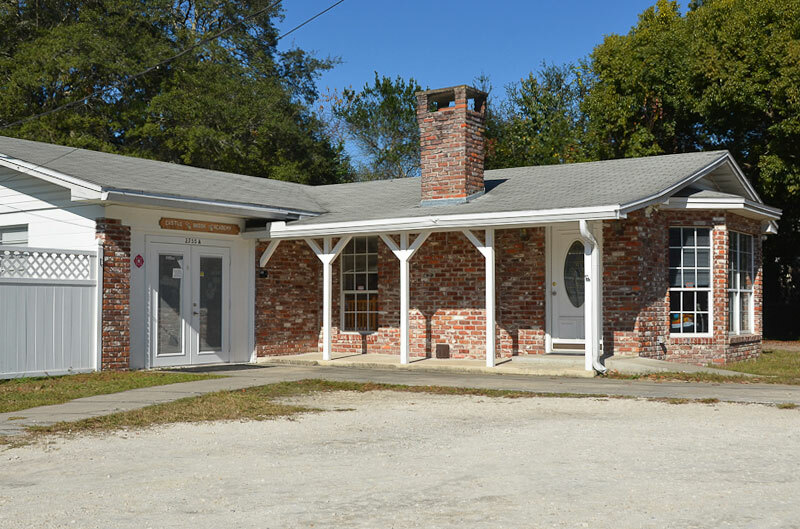 Please call Castle Brook Academy at (904) 797-3710 to arrange for a tour and inquire about available space for your child. If we have room for your child, print the Enrollment Form, fill it out and bring it to Castle Brook Academy, along with your child's physical examination record and your child's immunization record. Our children begin as young as 6 weeks of age, and are nurtured in a warm and safe environment: soothing music, soft bedding and play areas, and loving hands meeting every need. They are fed, and cleaned, and cuddled to their hearts delight. They begin their learning, too. Lots of books are read to them, and songs are sung by the scores. They begin learning about sharing, and taking turns. By the time they are one-years-old, they are ready to join the ranks of the exciting world of the toddler room. By the time our students reach our VPK/ PreK class, they are ready for the most exciting adventure they will ever know: the world of learning to read. Each child learns the letters and their sounds, slowly finding these treasures in their own worlds. With the loving hand of their teachers, the knowledge is imparted through playtime and art, and music, and dance. All the while, with the warm nurturing of their teachers, they also learn about how to be friends, and develop the morals and integrity they will carry with them as they enter the world of elementary education. By graduation day, they proudly walk down the aisle in their caps and gowns and receive not only a giant hug from their teachers, but also a diploma saying they are ready for Kindergarten. The one-year-old classroom is a whirl-wind of excitement, filled with fun and new friends with whom to toddle. Perfecting the art of walking, then running is the first talent our children attain. Learning how to eat with utensils, and drink from a cup is only the beginning. They begin to discover the joy of learning through circle time, and the continued journey of books, and stories. Sharing and taking turns is only a first step of what they will learn as a friend, and there is so much to discover on their own in the playtime centers. By the time our little ones are two, they have mastered the art of walking, and are ready to find their voice. Circle time takes on a whole new dimension: student participation. Hands on learning, and child input makes the learning experience even more excitingl. They are immersed in colors and shapes. Not only do they get better at sharing, but they begin to learn about caring. Two is terrific! Our three-year-old class soars with energy and wonder. What used to be the Pre-K curriculum is now the three year old's stronghold. Developing the skills they will use to read and write is only the beginning of the learning to come. Each child is enveloped with the building blocks to reading and writing. They also begin to learn how to have empathy, and how to be a friend. Social skills are being defined. And everything is learned through play. Click here to request the rates at Castle Brook Academy or to schedule a Meet and Greet!